This is probably the most important chapter for you if you have never played with hardware before. 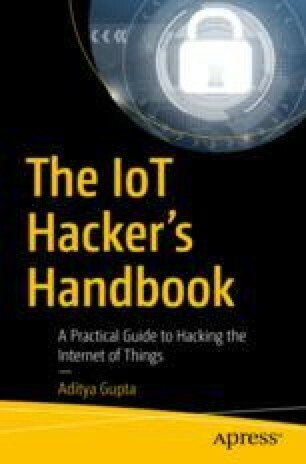 In this chapter, we have a look at how we can understand an IoT device’s hardware from a security perspective for both internal and external analysis. The device, as we have seen in the earlier chapters, is one of the key components in any IoT product. It is the device component that can help reveal many secrets about the device to us, which we can also see later in this chapter.